In August of 1951, Life magazine did a small article about the latest crinoline petticoats a woman needed to wear under the new full skirted fashions. 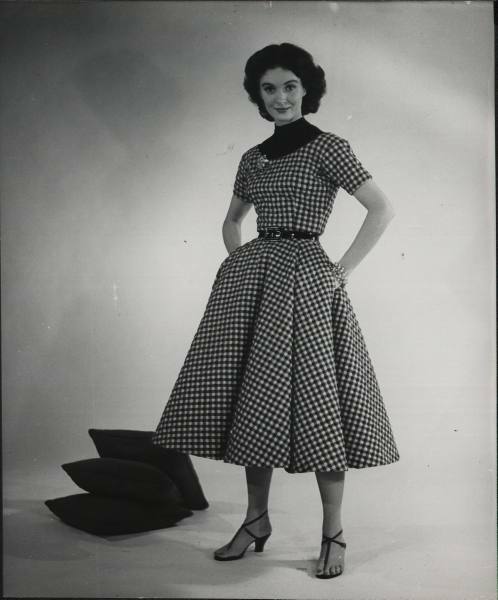 The magazine featured fashions by Anne Fogarty and showed the crinolines she used for her fashion shows to give the latest bell shaped skirts the oomph they needed. I thought you might like to see those crinolines. A quilted cotton dress worn over a black turtleneck sweater and with strappy sandals. That heavy quilted fabric required a ruffled cotton petticoat or two. 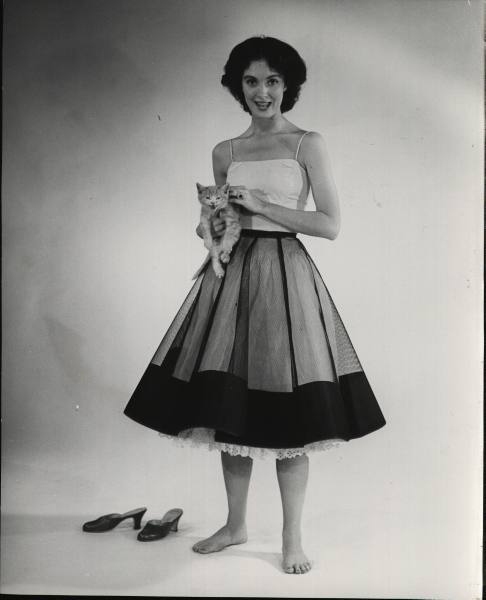 Over the petticoat, the model wears a very stiff lacquered net slip with a wide horsehair braid hem. 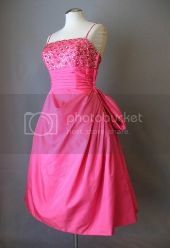 The lacquered net crinoline provides the support needed for the heavy quilted fabric of the dress. 3 lighter weight dresses by Fogarty are shown with layers of petticoats underneath. 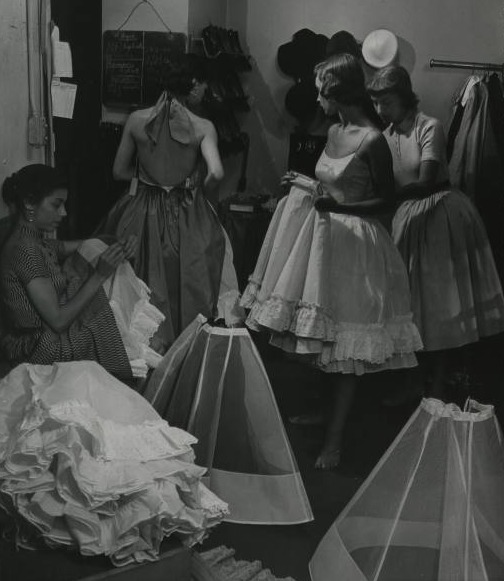 Prepping for a fashion show, the models don multiple ruffled cotton petticoats to wear under full skirted dresses. In the foreground, you can see how stiff those lacquered net slips are. They stand up on their own! 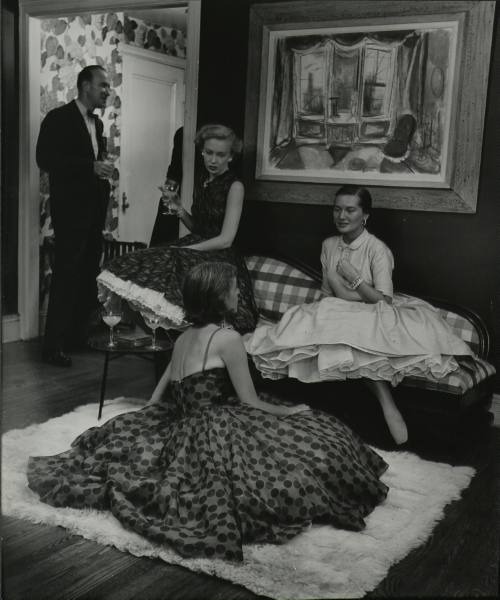 All photos by Nina Leen for Life Magazine, August 13, 1951.